Have you ever wondered why martial arts masters always look calm and collected? They are the picture of serenity in the face of adversity. Challenges may come, but it is hard to imagine for the masters not to overcome them. The reason is because, as a martial arts practitioner move from one level to another, he doesn’t simply learn new skill sets to improve his movements and strengths. He is also beginning to understand the energy flow of his body and his surroundings. He becomes one with forces of life. The practice of certain martial arts can be connected to health, spirituality and religion. A variety of systems have been developed, practiced, and spread by monks and nuns. Martial arts that are inspired by the philosophies of Hindu-Buddhism also incorporate meditation as part of their training. In Japanese-style martial arts, in the school of aikido for example, there are recurring concepts such as a beginner’s mind and an empty mind. With the non-physical aspect of the training, they focus on the flow of one’s energy and fostering peace. These qualities are heavily influenced by the philosophies of Mahayana Buddhism. Another example can be found in Korean martial arts. They give importance to the practitioner’s philosophical and spiritual development. Inner peace is a regular theme to practitioners of taekwondo and taekkyeon. Inner peace is said to be achieved through training and meditation. 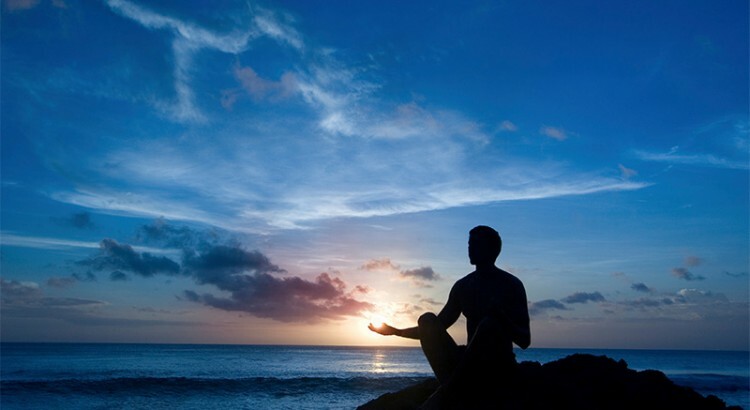 Breathing techniques and relaxation techniques are believed to foster calmness and self-conscience that benefit the practitioner in the spiritual, psychological, and physical levels. Tai Chi is a classic example of a martial art that benefits the practitioner in terms of health and defense training. Three aspects are involved with the study of tai chi: martial art, meditation, and health. Tai chi as a practice of meditation that concentrates on calmness and focus. Tai chi also promotes health training by concentrating on relieving the person’s mind and body of the stress he experienced. Our next question is: can we achieve a higher level of spiritual wellness through martial arts? It is only by going up the level system of the art can we achieve this goal. Let us take a look at the belt ranking system of judo to show how it affects our physical and spiritual wellness. Note that in many martial arts, the color of the belt indicates the practitioner’s skill level. This belt is possessed by a practitioner with little or no prior experience in the art. The student is taught to escape attacks and defend himself from assaults. This color signifies the beginning of the person’s life cycle, like a seed lying underneath the snow in winter. Once the student has learned the basic moves, he is then awarded with the yellow belt. This color signifies the sun shining down on new life, giving him strength, opening his mind, and pouring him knowledge. After the yellow level, the student goes up to the orange level, where his techniques are focused on physical conditioning. It represents the sun becoming warmer, getting stronger, and preparing the practitioner for growth in spring. Green belters are required to obtain expertise in practiced judo moves, refining and strengthening his techniques. This color signifies the growing of the seed and becoming a plant. The blue belt is presented to the student after he masters the requirements of the green stage. In this level, he is provided more knowledge in the art of judo in order for his mind and body to continue to grow. Blue represents the sky that the plant is trying to reach. The practitioner moves to this belt after mastering the blue belt successfully. In this level, he begins to understand the meaning and the purpose of the black belt through strong expertise in body balance and mental control. This color represents dawn. In this level, the practitioner is coming to realize the fruits of his work. It is represented by the ripening of the seed. Within this level, the practitioner learns to become more thoughtful with his physical abilities and knowledge because of the danger this color represents. This color signifies the heat of the sun, red and hot, and ready to burn. A master of the art, the black belter begins to have students of his own. He is someone who had dug his roots deep into the martial art, and is someone who will continue to grow. This color signifies the darkness behind the sun.